This fine 34mm. solid 14k. gold OMEGA has much to offer. The manual winding caliber 600 (cleaned and accurate movement) fits sleekly under the OMEGA screw back case, making this watch only 8.75mm. thin! The original dial is sleek, uncluttered and pristine, with raised gold markers and thin gold hands. A nostalgic inscription remains on the solid gold screw back. 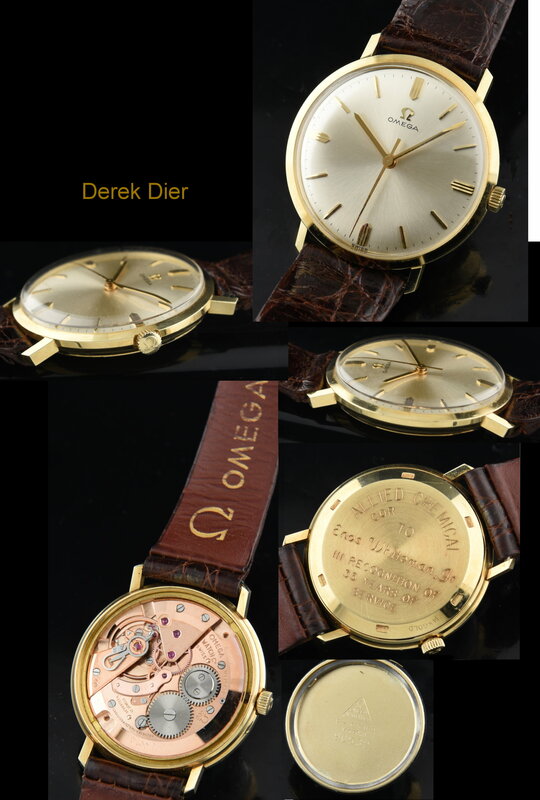 The OMEGA signed band and even a rare and early OMEGA signed authentic tang buckle comes with this collectable watch. The correct OMEGA winding crown is installed. 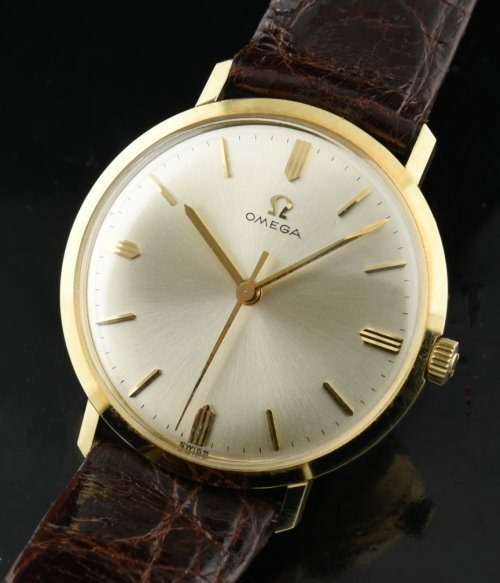 Understated and elegant describes this vintage OMEGA! Just $1395.